The Switch's Bluetooth-enabled controllers are an ideal choice for play computer games, even for Mac owners. While there's nothing at all wrong with playing Mac computer games using a keyboard and mouse, saavy players and Switch owners might want to try using their Joy-Con or Nintendo Switch Pro Controllers for those times when games just feel better using a gamepad. Though it may only work with games with simple control schemes or games already compatible with Bluetooth controllers, the process is very simple. Here's all the must-have information. 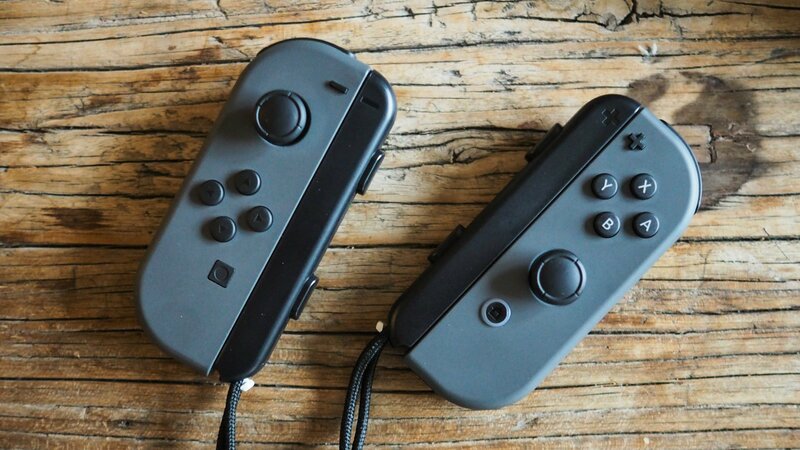 The first thing players will want to do when pairing their Joy-Cons to a Mac is to power down their Switch system; the controllers won't be able to sync with the computer unless they're disconnected from the Switch. After that, hold down the Sync button on the flat side of the chosen Joy-Con controller (or both) until green flashing lights can be seen. After that, navigate over to the Bluetooth button on the Mac. It'll be hanging around up on the Menu bar. Then, open Bluetooth Preferences and click Pair beside the listing of the Joy-Con to be connected. It's as simple as that. As with the previous process, the first step is to turn off the Nintendo Switch to sever the connection to the controller. Then, over on the Mac, go to the Menu bar, click the Bluetooth button, and open up Bluetooth Preferences. From there, press and hold the Sync button on the Pro Controller — it's the small black button that can be found on the top of the controller near the charging port. Once the controller pops up on the Bluetooth device list, click Pair. That's it. In no time at all, Mac players will be able to use their spiffy Joy-Con or Pro Controllers to play any of their controller-compatible games. For all the times when your Joy-Cons are still attached to your Switch system, try checking out one of the games featured on our list of the Best Nintendo Switch Games.